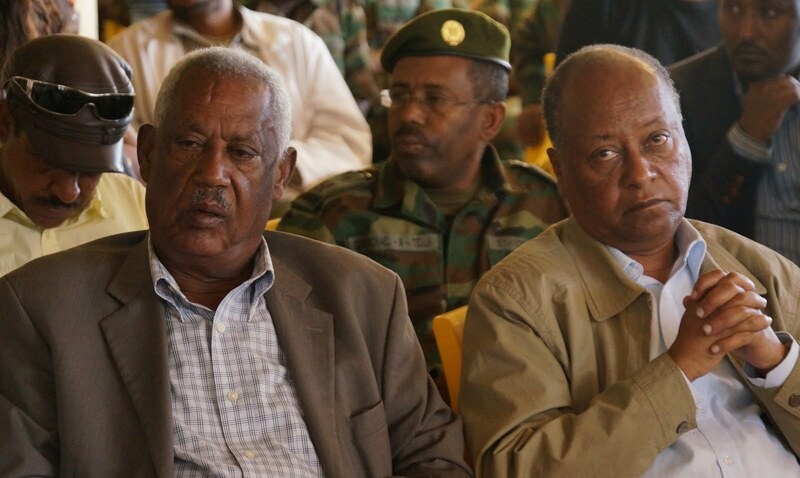 The Way forward, National Reconciliation after TPLF demise from Ethiopia! TPLF (Tigray People Liberation Front) has ruled Ethiopia for the last 25 years under the cover name of EPRDF (Ethiopian People Revolutionary Democratic Front). This elite anti democratic group which is pseudo representative of Tigrean people progressed to rule as minority group through sophisticated means. TPLF by its nature is anti-Ethiopian and anti-unity entity. From inception, it was an agent for Eritrean secession agenda but later it reinvented itself as merciless ethnic minority group with aim to rule the majority of Ethiopians under the pretext of Ethiopian agenda. TPLF came in to power 25 years ago and imposed its dark policy against Ethiopian people. TPLF has ruled Ethiopians through hate, fear, divide and rule policies. It has monopolised the economy, military, foreign affair, security and all sector of the society. It has killed, tortured, imprisoned, looted, destabilised large sector of Ethiopian society principally the Amahra and Oromo people. TPLF has caused lots of mass suspicion among Ethiopian people. It has created a delusional federal system with figure head puppets while its operatives rule under iron fist. It continued to wage war among ethnic and nationalities. Its inflammatory polices have made Ethiopians displaced, homeless, dispossessed, unemployed and flee from their country. TPLF killed generation’s mind and psychological development. The future of Ethiopia has along road to travel. The poison that would be left by TPLF would take time to detoxify. The paranoia and false identity it created among different nationalities need proper handling and therapy. A national reconciliation among Ethiopians must be the rule of thumb to start the journey for democratic and compassionate Ethiopia. TPLF is by its nature anti-love and anti -people which should be completely removed and has no role in the future Ethiopia! TPLF and its culprits have to face full force of justice. The pathogenic policies of TPLF should be eradicated in the New Ethiopia. TPLF should handover the power to Ethiopian people through peaceful means. Its brutal crackdown of killing, torture and imprisonment wouldn’t kill the whole Ethiopian. At the end, the people will win! Those TPLFits who are under megalomaniac delusions have to wake up to realities and think for the fate of their children if not for their own. Their children need a country which is peaceful and democratic. The money they looted wouldn’t guarantee their children a peaceful life neither at overseas nor in Ethiopia. The transitional Ethiopian government after TPLF should be inclusive of all except TPLF to form a government that would rectify the obstacles the TPLF leave for us. It should come with new Constitution that would guarantee any Ethiopian a full citizen right and responsibility. It should pave the way for legitimate government elected by the people. A constitution that would curb the power of those in power and should limit term of Prime minster or/and President. The parliament should be representative of not only the usual first-pass-the post system but Proportional representation too. TPLF’s 100% victory type of wicked election result should never be repeated in future Ethiopia. Beside first-past-the post voting, every million or half million voting should be proportionally represented whatever party the public vote for. The fundamental work for all these first and foremost should be national Reconciliation among Ethiopian people. Reconciliation from our past deed and tragedy, to reach to new height of human consciousness . A reconciliation that would lead to forgiveness, create new vision and brother-sisterhood among Ethiopians. A reconciliation that can lead the victim and perpetrator to live in bright future than dark soul. A reconciliation that would pave lasting peace among Ethiopians. “..Ethiopia shall soon stretch out her hands unto God” Psalm 68:31.